So clean and crisp, Jen! I'd love to be in that kittie's place right now - it is SO hot here! Oh this is absolutely adorable. This is such a cute scene! 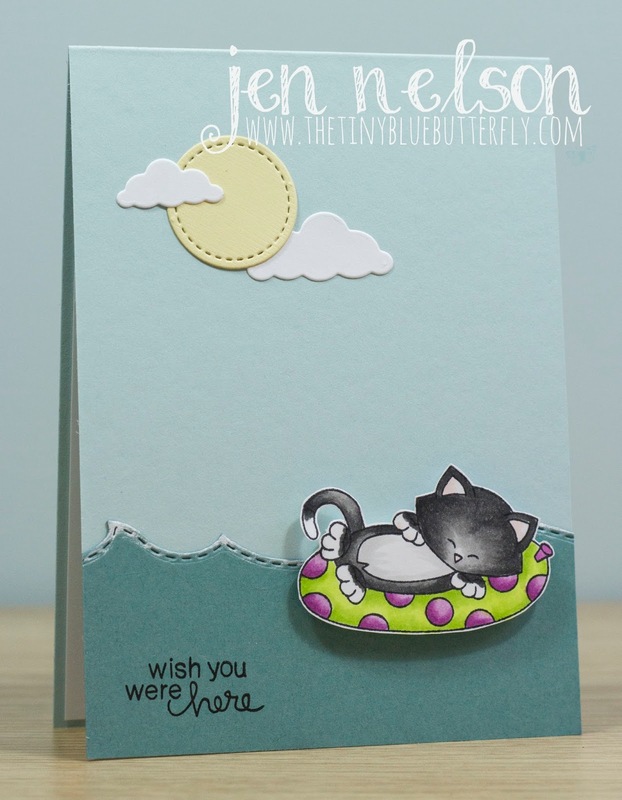 I love the circle for the sun and the coloring on the kitty and inner tube is awesome!